The dark side of Congolese music, mixing rumba, rock and more. Delta blues from the French Caribbean. Electrotraditions from the mountains of the Maghreb. Electric explorers go boldly forward to the outer limits of twang with all-styles Peruvian cumbia mixup. 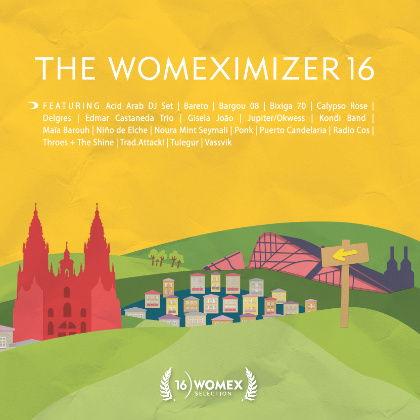 The WOMEX 16 Artist Award winner has transformed calypso in many ways. The scale of her talent and success are impossible to ignore. Musical researchers delve into the fun side of Galicia's folk traditions. Keeping alight the flames of Estonia’s traditions – with rock! Traditional thumb pianos and a techno producer collaborate to create lamellotronica. Looking into cumbia’s pastoral past and intergalactic future. Maverick cantaor deconstructing flamenco with evocative electronics and provocative poetry of the conscience. Moravian roots interpreted by today’s open-eared pioneers. Raw desert blues from Mauritania’s hottest singer. Sophisticated electropop touches base with rural Japan. Skyrocketing fadista with a voice as powerful as it is emotional. Knock-out jazz from harp, trombone and drum kit. Cosmic Afrobeat with a Brazilian point-of-view. Post-rock connects Inner Mongolia with the inner city. Innovative joik with strings and sonic art create Arctic soundscapes. Joining Luanda and Porto into one Afropean metropolis with kuduro and more. Parisian DJ duo fusing the sounds of the Maghreb with classic techno and house sounds. Argentinian DJ practicing the fine art of digital hypnosis with mesmerising mix of Latin-electronica folkore-dub. eading Galician songwriter and Mozambican collective celebrating a decade of creative collaboration. Moroccan-American musician films, records and remixes traditional musicians for multimedia dancefloor experience. Accordion-wielding songstress and superlative band continue worldwide Chilean charm offensive. New approaches to Argentine rural folk music from accomplished classical urban tango formation. Deep griot roots of the 21st century with virtuosic chemistry. Rocker with royal heritage sets his sights on his Iraqi Jewish origins. Exploring Canada’s transatlantic connections and Celtic roots. Sounds of the Near East, the Balkans and the Big Apple mix in the melting pot. Vibrant new voice and multi-national band delivering positive mix of Guinean roots and Pop-Malinké. A new spin on the old flamenco tradition. Luandan DJ and producer making international inroads with thumping mix of Afro House and Kuduro. Orthodox chants, Russian folk and historical footage meet in a dark electronica AV spectacular. Cross-border Gascon-Basque collaboration reuniting the traditional roots of old Vasconia. True mastery of the Venezuelan cuatro from three of its top exponents. 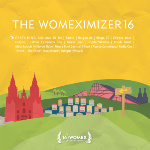 Galician tambourine man reworks traditional village songs with eleven-woman percussion and vocal ensemble. Blending the sounds of Morocco – Arabic, Gnawa and Amazigh. Classical guitar wizard presents kora music in a different light. Elegant singer and master of the classical shashmaqam. Former Daara J MC leads his a cappella gospel-soul revue. Afro-futurist jazz quartet play with funk and soul. Ugandan femme electronic celebrating 20 years of slicing global sounds with homegrown beats. Influential composer, musicological investigator and distinctive voice of Mozambican music. New sounds for the ancient instruments of Korea. The 50th anniversary of the song cycle that reinvigorated Italian folk music.